Sparkle Spa in the Wild! 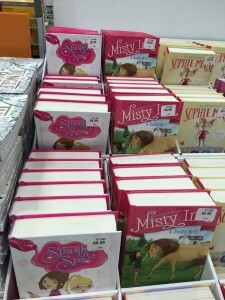 This was a big week for Sparkle Spa books getting spotted in the wild. 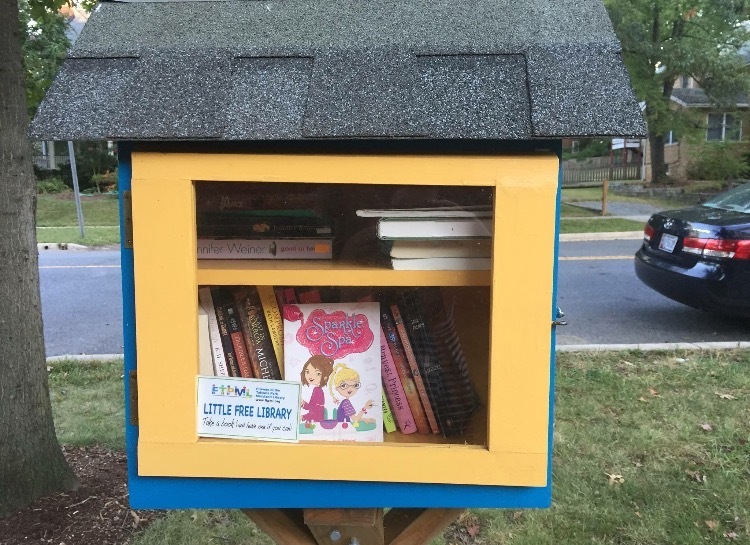 A friend of mine found one of my books in a Little Free Library, and my mom found two of them at the New York Public Library. 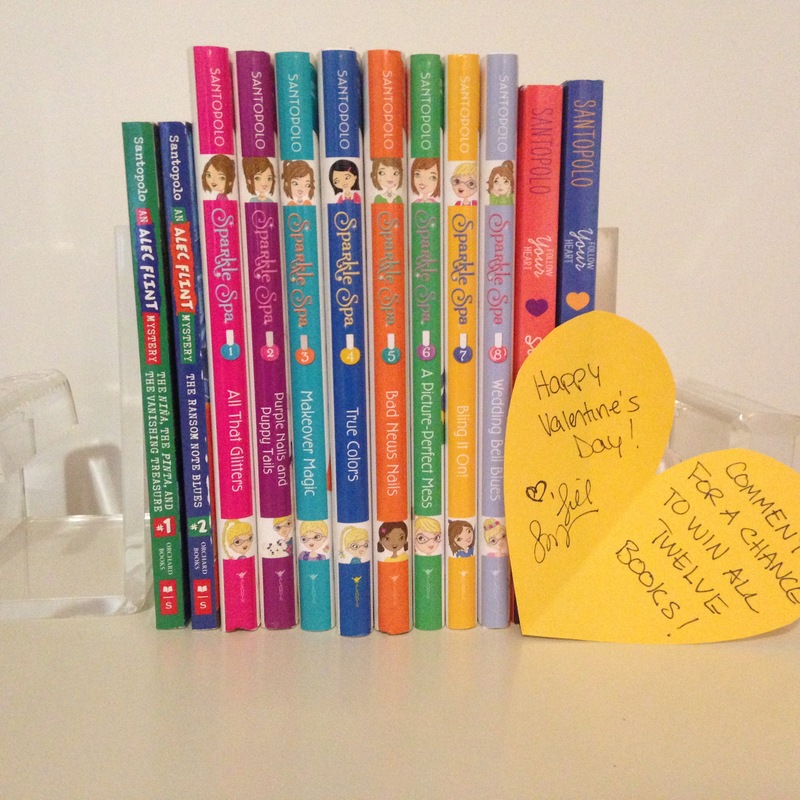 It’s so nice to see my books getting shared. Where will you be on Saturday, September 24th? 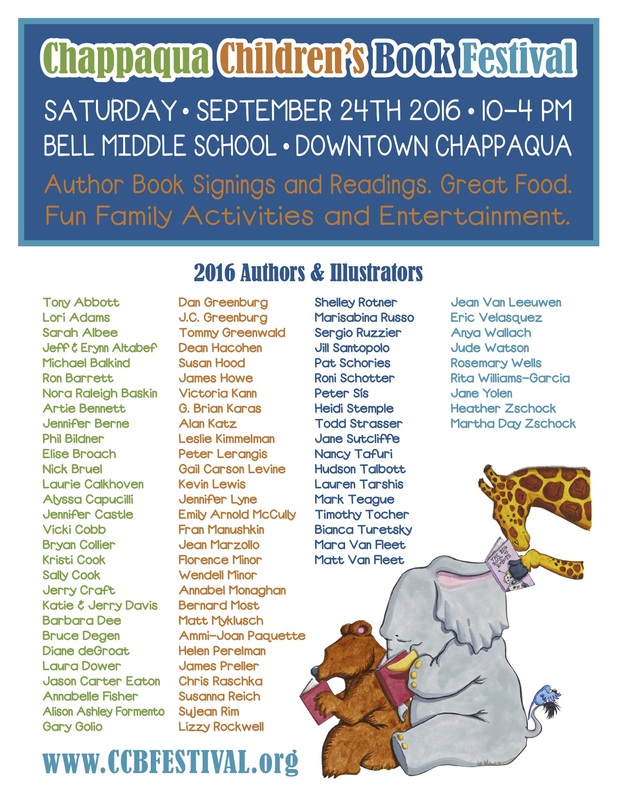 I’ll be at the Chappaqua Children’s Book Festival signing books with a ton of other writers. 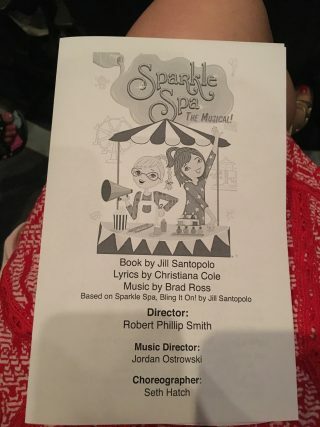 Some Photos from the Premier of Sparkle Spa The Musical! 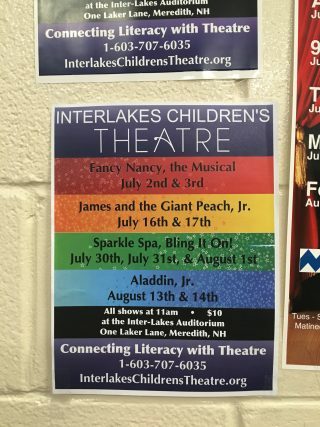 I just got back from the most incredible weekend in Meredith, New Hampshire where I got to see the first ever production of Sparkle Spa The Musical at the Interlakes Children’s Theatre. 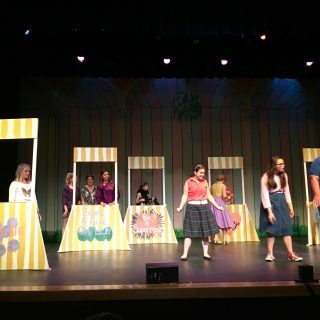 The kids and grown-ups who acted, sang, and danced in the show were wonderful! 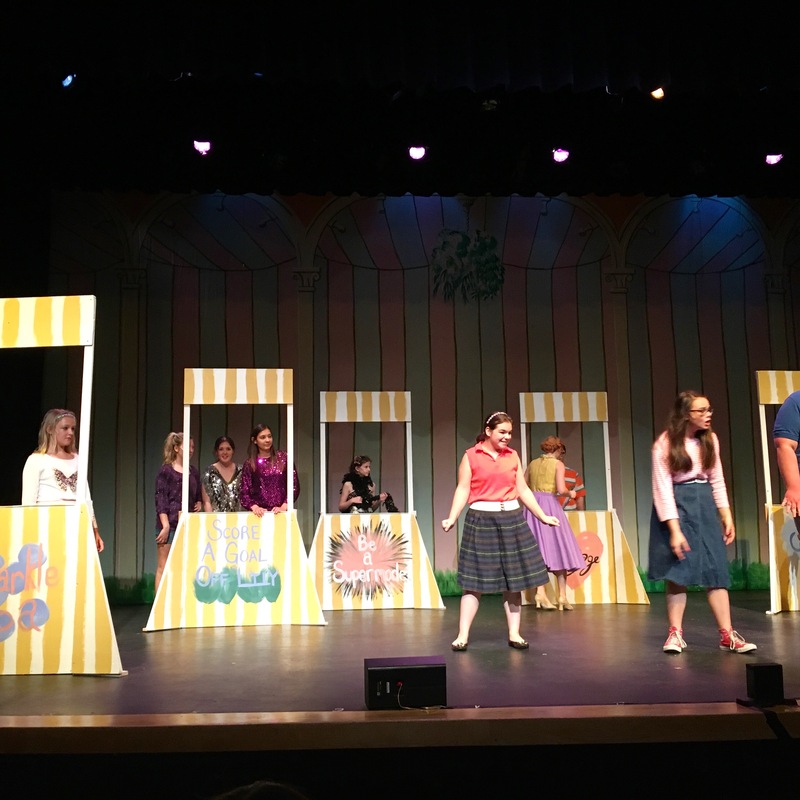 It was so cool to see my imaginary world come alive! New Hampshire’s newspaper The Citizen has an article about the Sparkle Spa musical! Looking forward to getting to watch the show this weekend (and perhaps getting my nails done too…). 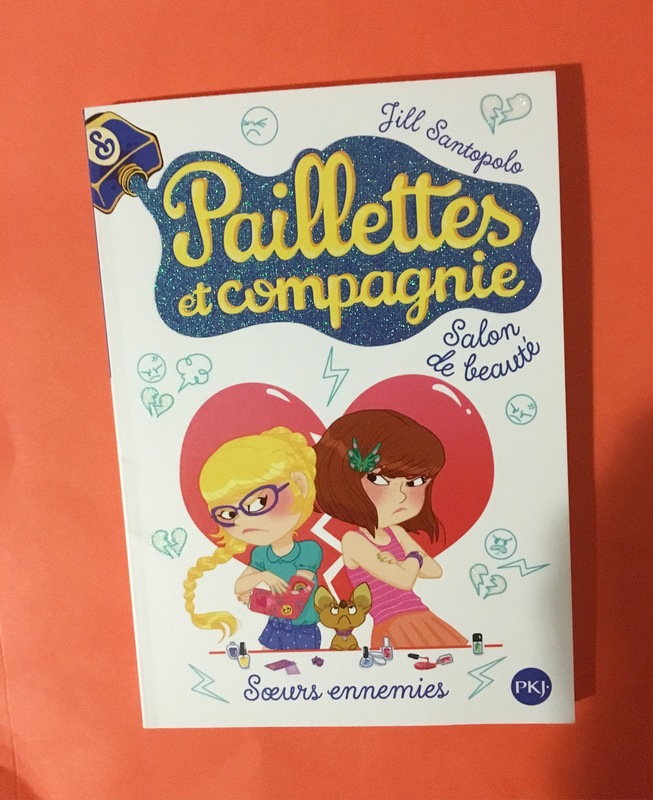 Look what came in the mail from Paris: Sparkle Spa #4 in French! In English it’s called True Colors, but in French, it’s called (I think) Enemy Sisters, which makes perfect sense as a title for this one. The French Sparkle Spa Books Are Here! Et voila! 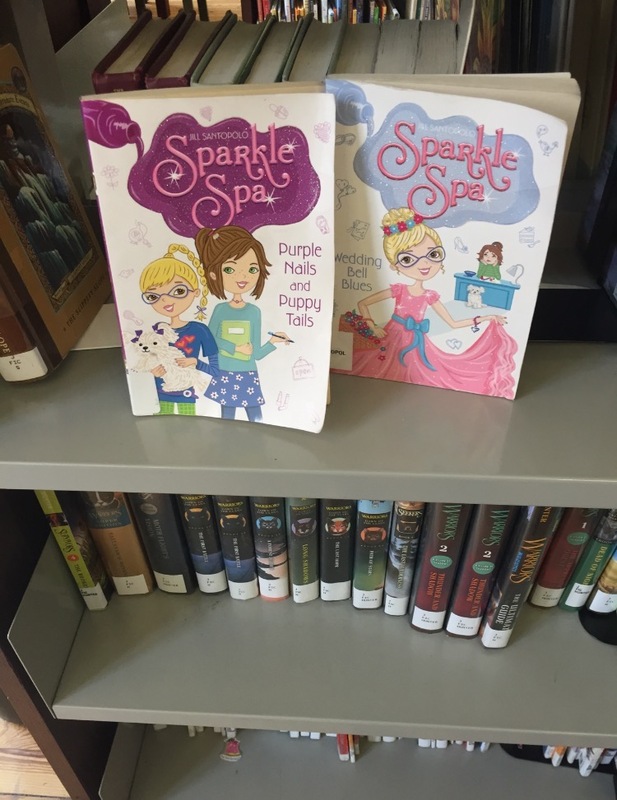 Three French Sparkle Spa books! 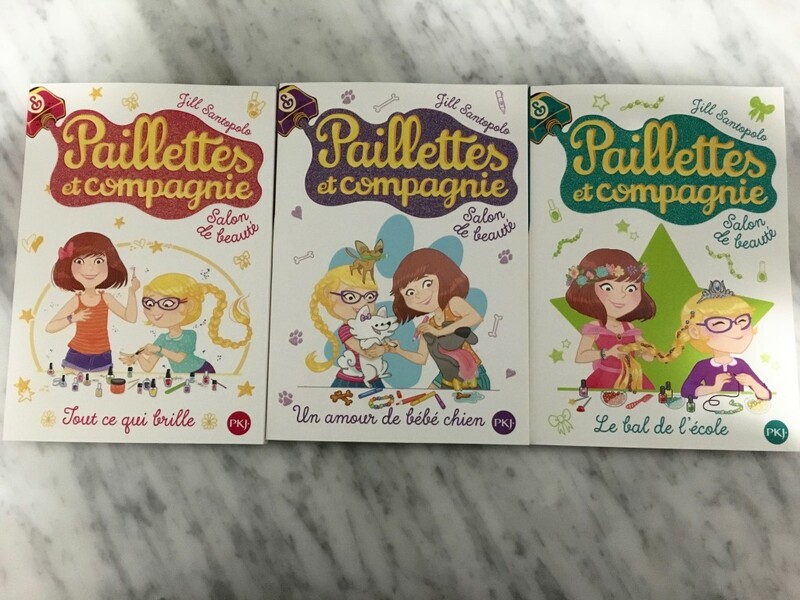 In French the series is called “Sequins and Friends at the Beauty Salon,” and Aly and Brooke are named Lise and Elodie. How cool is that? 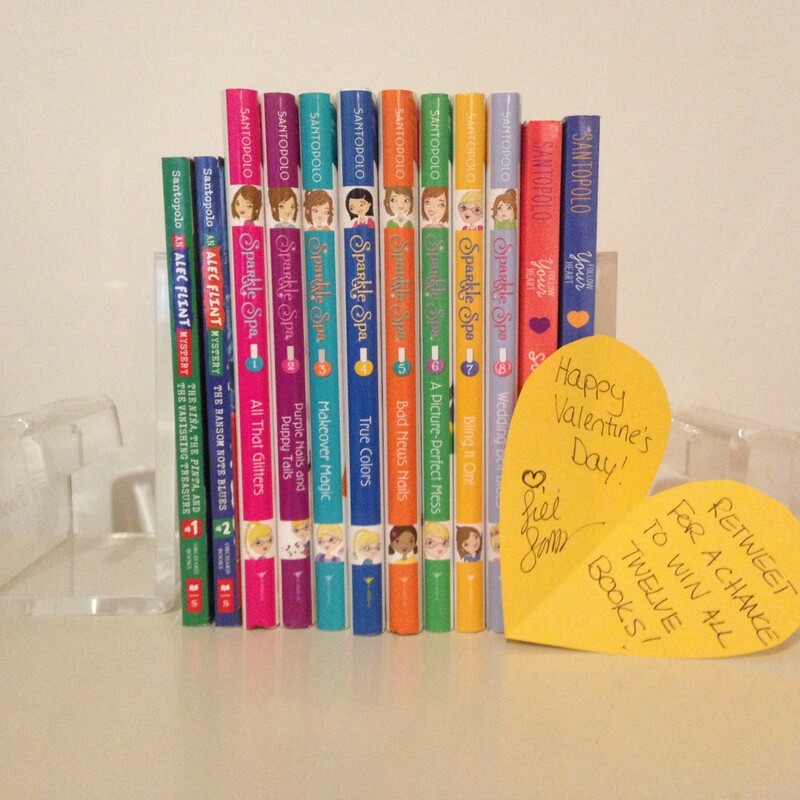 The fact that kids in France can read these books now makes me so happy. A jacket for Fashion Disaster! I have some exciting news over here. 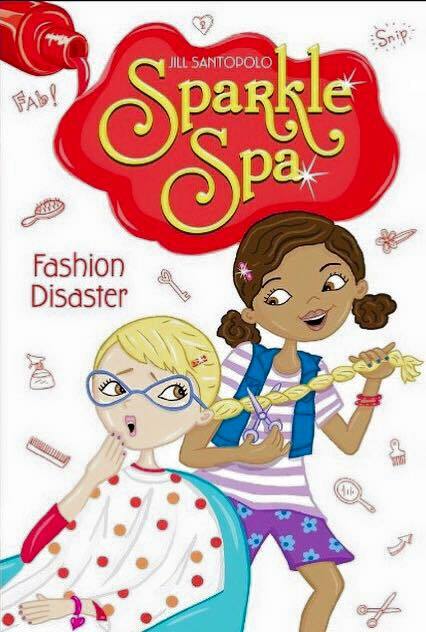 Sparkle Spa #9: Fashion Disaster has cover art! In this book, Suzy Davis does an awesome job cutting a doll’s hair, so Brooke decides she wants a haircut too–uh oh. It’s Wedding Bells Blues Day! It seemed like a great way to spread a little happiness around the internet in honor of my newest book. I hope you enter, and may the sweepstakes odds be ever in your favor! Last week I visited an elementary school on Long Island (I do that kind of thing a lot). I was having a lot of fun writing mystery stories with the 3rd, 4th and 5th graders there, when something very exciting happened. 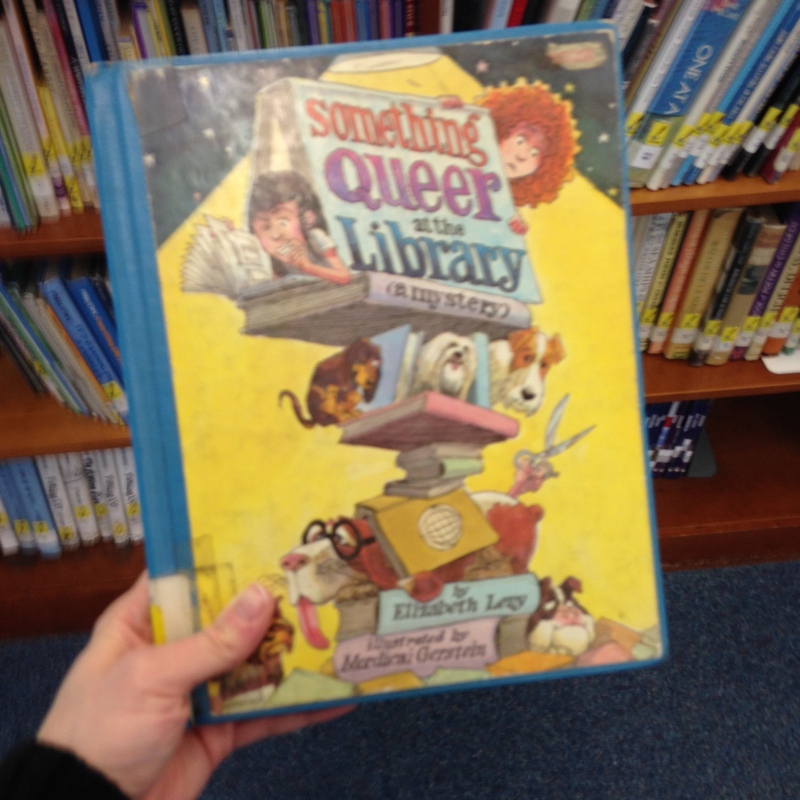 The school’s librarian found a copy of one of my favorite books from elementary school: Something Queer at the Library, by Elizabeth Levy. Seeing that book–and Mordicai Gerstein’s art–brought back so many memories. 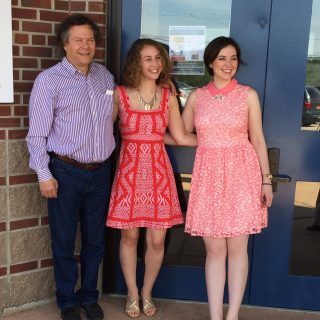 It was such a special treat on an already wonderful day. Here’s a copy of the book!